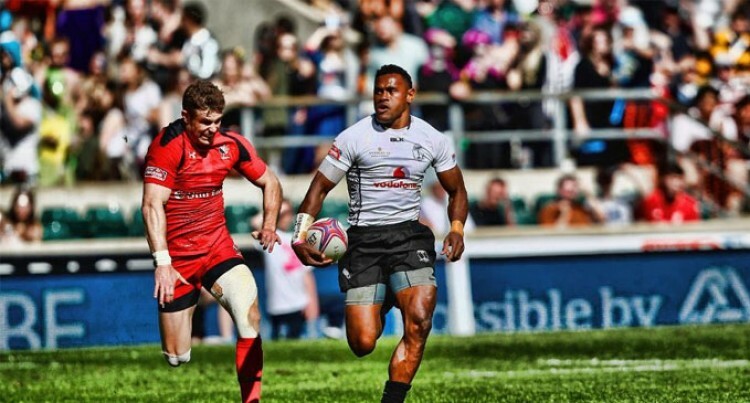 HSBC Sevens World Series leaders Fiji will meet second-placed South Africa in an enthralling Cup quarter final at the ninth and final round of the series in London, with a record 77,033 fans in attendance. With Ben Ryan’s side winning all three of their pool matches, achieving a 100% record from their 27 pool matches this season, South Africa’s defeat to the USA in front of a record crowd at Twickenham means the top two sides will battle it out on day two in the first quarter final. A win for Fiji will guarantee them a second World Series title in 16 years and first since 2006. Third-placed New Zealand, Scotland and USA also maintained 100% records alongside Fiji to set up matches with hosts England, Australia and Canada respectively on day two. England’s safe passage through to the last eight ensured they will finish fourth in the series and guaranteed Team GB’s qualification to the Olympic Games next year alongside hosts Brazil, South Africa, Fiji and New Zealand. Last week’s Glasgow champions Fiji had to come from 12-0 and 19-12 behind to record a narrow 24-19 victory over Argentina thanks to two tries each from Samisoni Viriviri and Savenaca Rawaca in their opening match before a Semi Kunatani hat-trick secured a 26-12 win over Samoa. In their pool decider with Canada Amenoni Nasilasila also scored a ht-trick in a 31-14 win. For South Africa Stephan Dippenaar’s double helped the Blitzboks to a 19-0 win against Portugal in the opening match of the Marriott London Sevens before the season’s leading try scorer Seabelo Senatla scored twice to beat France 28-7. Their run was ended as USA maintained their 100% record adding a 21-12 victory over the Blitzboks thanks to tries from Garrett Bender, Perry Baker and Carlin Isles to earlier 28-12 and 24-19 wins over Portugal and Les Bleus.